I still recall the terminal 1D in Delhi which was exclusively meant for Indian Airlines flights while all other private airlines, including Jet and others were made to use the cramped lounge nearby (at that time). 1D was very well kept and has an ambience of soothing peace. It was thus very surprising as to how Kingfisher Airlines got access to 1D even though it was the last entry as private airlines. The fact that the owner of Kingfisher happened to be a Member of Parliament was a mere coincidence. also sometimes wonder with absolute frustration why & how, even the most respected role models don’t think twice while indulging in blatantly without even acknowledging it as a conflict. Take the case of the role model, an icon and a leader, Mr. Narayan Murthy of Infosys. For long, he is seen as someone who guides millions of Indians, especially the younger generation on the path of righteousness and hope. I was surprised (the least of expressions I can use decently) when it appeared one day that he has appointed his son (of course, otherwise qualified and totally eligible to get such a job) as his executive assistant in the company (and now the Vice President!). To me, it was a big disappointment and a let down from a man I used to consider as an ideal. 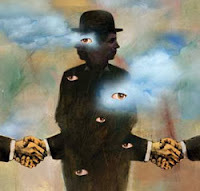 The idea of conflict of interest has a kaleidoscopic quality. 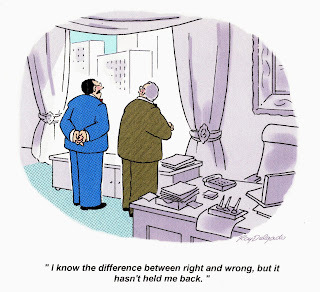 I guess while most of us do know the meaning of conflict of interest, we normally choose to keep quiet or look the other way (“hame kya” or “why should we get into this” mentality). I guess, for most of the powerful and those who are in position of power, the expression ‘conflict of interest’ is a misfit. For them, being a parent, a businessman, a party official, a husband, a trustee of a few communities are the same thing. We Indians live in world of “and” and relish being in that position. For him, there is no conflict of interest - there is only maximization of or juggling interests. One uses kinship to maximize business, one uses one’s business to manipulate others. The idea of conflict of interest is seen as “hyena” term. It is a word used to stalk people. Conflict of interest is part of the consensual and legal package of modernity. For the 3.8 million Indians in the US and many more millions back home, Rajat Kumar Gupta, the three time managing director of Mckinsey’s was an icon of what every Indian in US wanted to be. Yet the saga of how he was drawn into Rajaratnam’s web of “insiders” will remain a mystery which ended up destroying him completely. But for most Indians, the conflict of interest was a minor flaw in his otherwise seamlessly successful career. To me, it defines how there are no rules when it comes to “I, me & myself”. 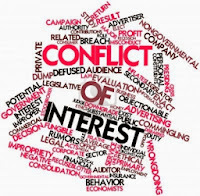 What is a conflict of interest? 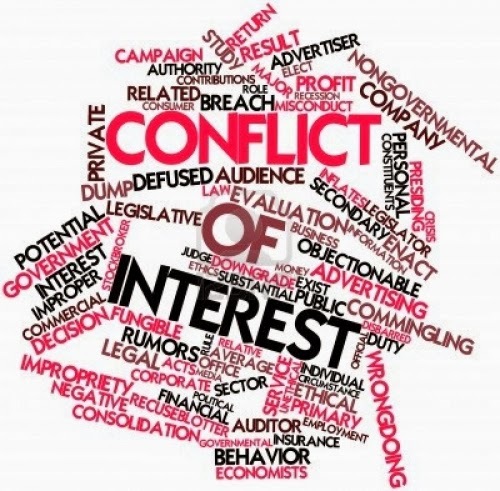 Conflict of interest refers to a situation in which a decision a person takes has the power of enriching him or his relatives or friends and is because of the position he holds or can influence upon. It implies a person can’t take a rational decision based on objective criterion, motivated as he is to nurture his personal interests. 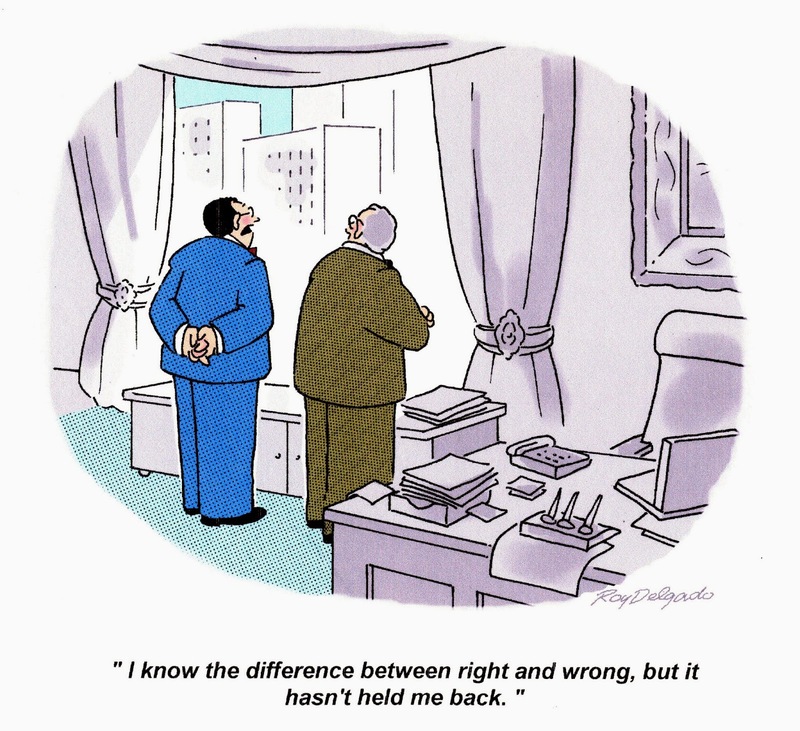 A conflict of interest doesn’t always mean the decision-maker is guilty of financial impropriety. But it almost always raises the question whether the decision he took had the impulse personal gains driving him. In other words, the issue of conflict of interest is pertinent as its absence helps away situations conducive to corruption. The impulse to earn money is human. But this impulse becomes illegitimate when you exercise the power vested in you to promote the larger good, to further your interests. Media interests in the subject suggest that we are treating it as a new phenomenon. The issue has never really troubled anyone in the power corridors of Delhi. Although questions have arisen from time to time about the curious overlap between the personal and the public, the ruling elite whether political or bureaucratic, has always managed to sidestep controversy while reaping and encashing their power and influence in this game of conflict of interest. 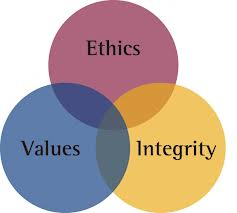 Vested interests thrive in confusion and conflict of interest is one area best left colored in several shades of gray. And if ever it needs to be defined in black and white, everyone binds together to protect their collective interest. It baffles me how the person in position of power and as decision maker, decide in his own case or for his folks? Perhaps therein you can see why we care two hoots for conflict of interest. Extremely hierarchical as our society is, duly reflected in its institutions, power is vested in a few. They employ the power not only to enrich themselves, but to also buy out dissenters or oust them from their fold. A conspiracy of silence ensues. I realize the craze to get into in Boards of Banks and other Financial Institutions sometime is because the said member can use his position to get project proposals decision making influenced in a manner where he stands to gain financially or otherwise. 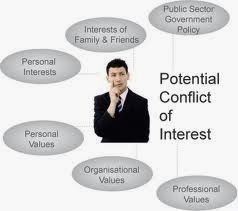 While the conflict of interest is most at the top, it’s all pervasive at all levels. It’s a matter of opportunity. It’s not difficult to find somebody in a position of power to get a contract awarded to a firm which is somehow linked to him/his kin. The underlying reason for the Conflict of interest is common considered interests of the parties- the benefactor and the beneficiary and it could be due to blood relations, kinships and any other close affinity arising due to caste, class, race, creed, nationality, colour, commonality of end product and other such reasons. Is this only with us Indians or more prevalent? It certainly is not just confined to Indians alone. Take the case of David Coleman Headley (born Daood Sayed Gilani), a Pakistani American terrorist and a spy who was the mastermind in plotting the 2008 (26/11) Mumbai attacks which killed about 365 innocent citizens. Even as US continues to be one of the strongest proponents of action against terrorism and there are sufficient proof and evidence against David, US has not heeded to India's request of extraditing him to India for trial for his involvement. And why? Apparently, because he is an important link to LeT and other terrorist groups operating in Pakistan-Afghanistan border and provides crucial information to US in this regard! Is there a way out? I doubt. The legal framework is weak and lacks clarity when it comes to defining conflict of interest and to prove it. And self-discipline in the country based on a conscientious judgment is almost missing. Refusal or rebuttal thus, despite clear involvement, is easy and often resorted to. It depends on our conscience. I have come across some (number isn’t large but they are there) officers and gentlemen who ensure that they won’t indulge in any conflict of interest and have moved out of a situation. One feels good in such situation. I wish there are more of us who can draw our lines and live with dignity and respect officially.